What are the benefits/disadvantages of having a DJ vs Band at a wedding reception? A quality band at a Wedding has a sense of distinction. We can hear DJs anytime, but live music could and should be magical at a reception. 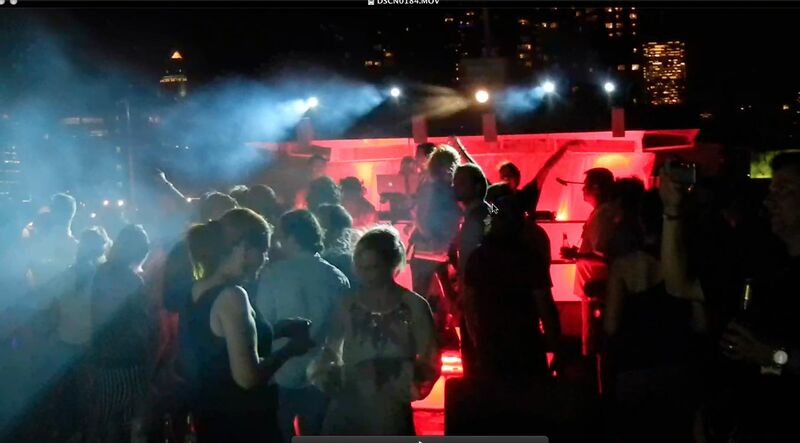 Producing events on yachts or smaller venues will often lend itself to having a DJ because of logistics and space. It allows us to have freedom with set ups as guests mingle to different levels of the yacht. Full bands typically need one location for dancing. DJs can tie/link systems together to have dancing and plasma screens in a few locations around the venue. Before dinner service, guests could be dancing in the ballroom and then dessert served on the upper level deck with music and dancing under the Stars…. We often have live performers (saxophone or percussion instruments) accompany our DJ’s to enhance the visual as well as the spontaneity of the performance. Full bands limit our ability to change on the fly. Many of our clients are not looking for the traditional hotel/ catering hall reception. Unique venues can have drawbacks (or advantages depending on how you see it), which can help make your decision easier. As you can see both might have advantages and disadvantages depending on not only your person preference, but also the logistics and flow you would like to create.